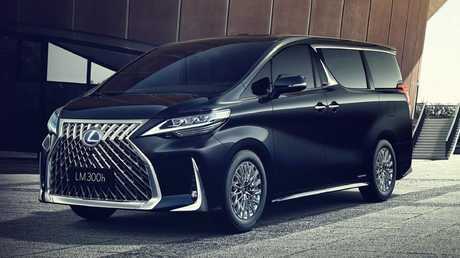 BOLD and brash is big in cars these days - but Lexus has taken it to the extreme with one of its ugliest vehicles and its first ever people-mover, the LM. 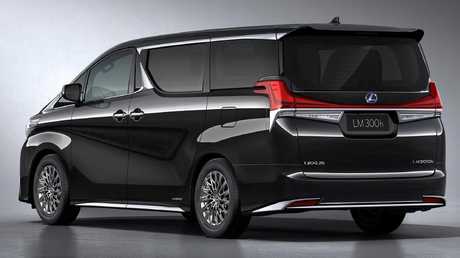 Screeching in from left field, the LM was unveiled at this week's Shanghai motor show and is based on the Toyota Alphard, a large people mover aimed at Asian markets. 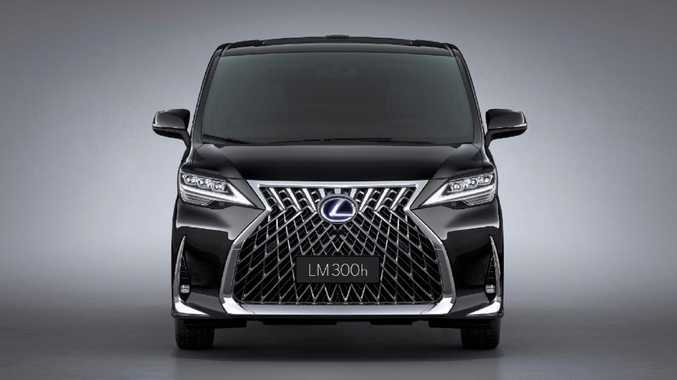 While the Alphard already had a glistening chrome grille that could add some serious bling to big city skylines, the Lexus version takes it to the extreme with the LM. The Lexus LM350 is sure to turn a few heads. It uses Lexus's latest spindle grille design, which uses crisscrossing elements for a more distinctive nose. The LM has the largest interpretation yet of the spindle grille, one that looks like it could provide adequate cooling for a Kenworth. That grille has already prompted heated debate - The Drive previously called it a "mouth full of razor blades" and in 2018 enthusiast American website Jalopnik questioned whether the grille was hurting sales - but the discussion has stepped up a notch with the LM. Lexus has focused on the car’s interior rather than exterior styling. Jalopnik has since stated the LM "might be the ugliest thing I've ever seen", later going on to see its over-the-top opulence and chrome is part of its appeal. MSN autos declared Lexus was "embracing middle age". Inside, the LM is far less polarising, although it's nothing like the three-row people mover it's based on. Gone is that third row of seats, the Lexus LM catering for just four people: two up front and two in the sort of luxury typically reserved for first class plane passengers. The Lexus LM350 resembles a first class cabin. There are plush reclining seats with a massage function, sumptuous arm rests and an adjustable pillow, as well as controller for the infotainment system. Those two rear-seat VIPs can fight over what to watch on the enormous 26-inch TV screen. There's also a mini bar that can accommodate two bottles of Champagne as well as Rolls-Royce-like glass partitions to ensure privacy for those in the rear. The concealed umbrellas are another Rolls-Royce touch. Of course, luxury people movers and mini vans are nothing new. Mercedes-Benz produces plenty of them and Volkswagen has some well-appointed versions of its Multivan that are more about leather and luxury than the seat count. 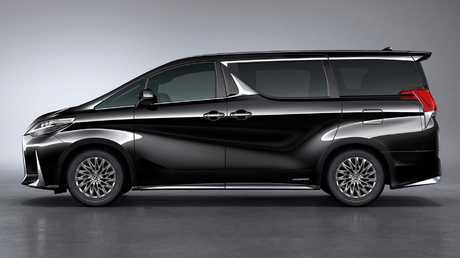 The Lexus LM350 is the brand’s first people mover. Unlike those two, though, don't expect the Lexus LM to show its toothy grin Down Under. 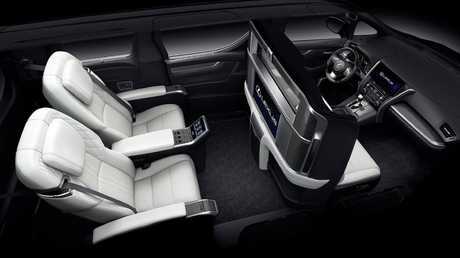 It's been designed predominantly for the Chinese market, where wealthy people like to travel in style in the back seat.